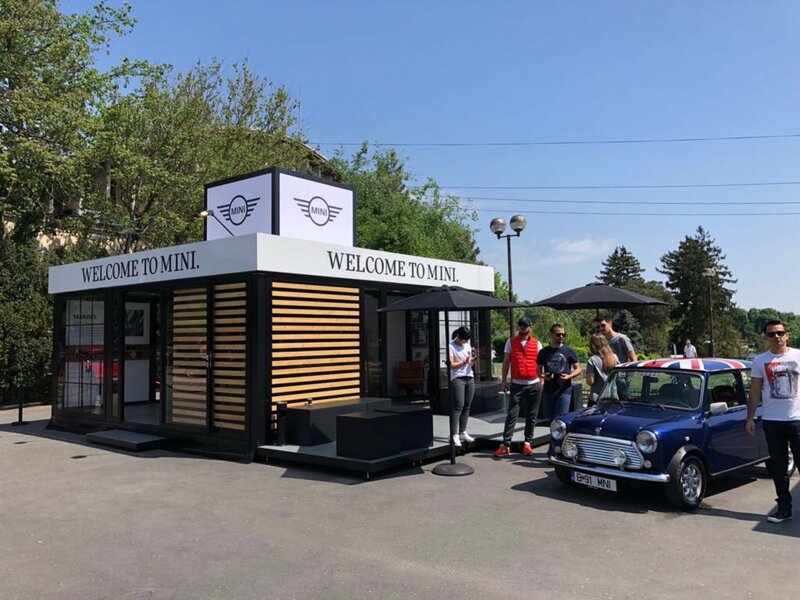 The British automotive icon needed a mobile brandspace for a planned road show through 14 of the most beautiful cities in Eastern Europe. 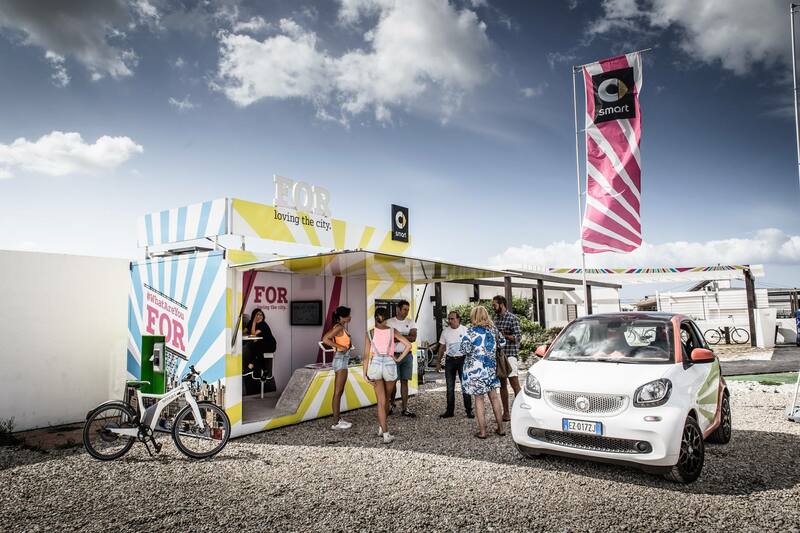 Our solution was a digital cube and a pop-up café. 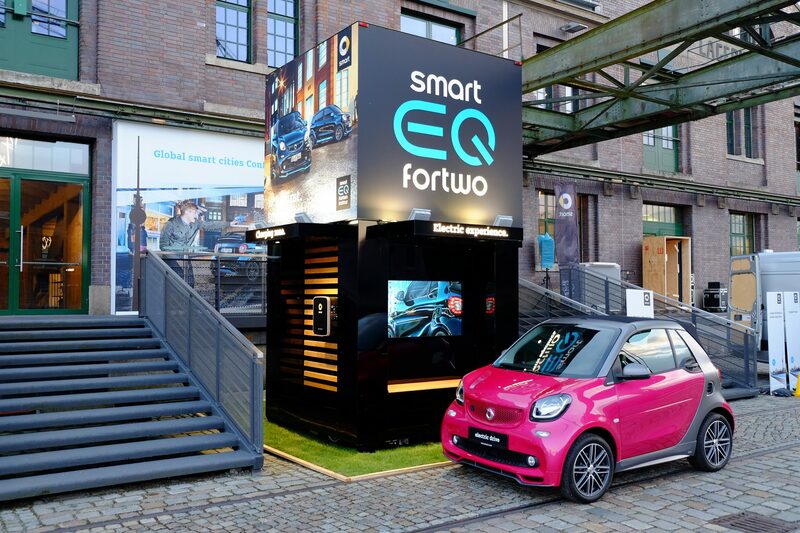 Attractive visuals, cost-optimised logistics, durability and interactive content for the ultimate user experience were the key ingredients that made the set-up a real success. 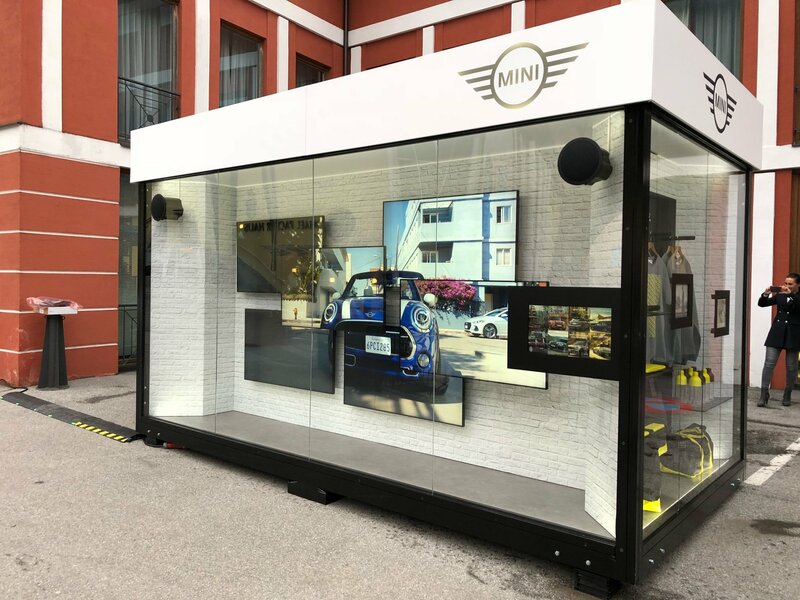 The digital cube gives visitors to the road show the opportunity to interactively and playfully experience the MINI brand. They were able to choose an image film via a small touch screen, which was then shown in parallel on six screens. The other communication surfaces included integrated iPads, on which visitors could view the range of fan merchandise. 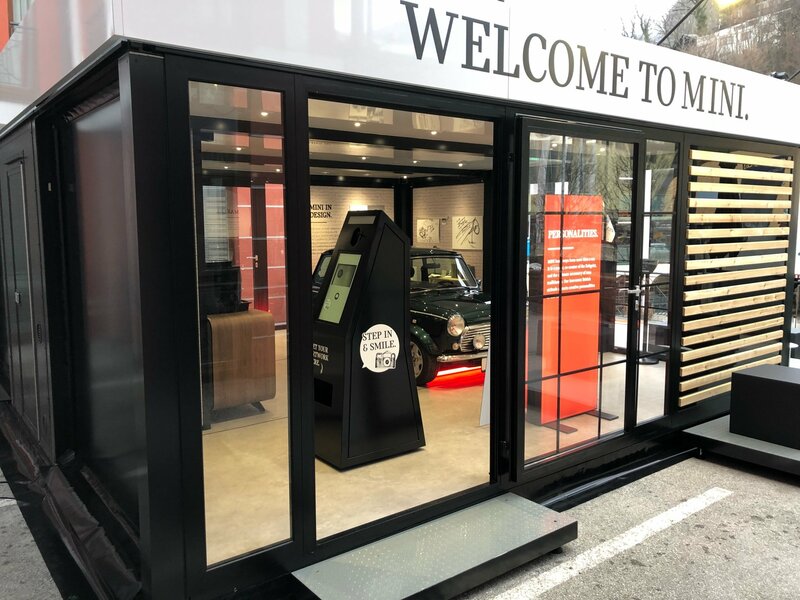 There was also a wall box displaying interesting information about MINI Electric and an interactive MINI dashboard measuring 5 m x 2 m.
The pop-up café allowed visitors to experience MINI’s history and brand values in a hands-on way, with sophisticated equipment inviting them to touch and read. In addition, the café offered a Cambox. The photos could be personalised with graphics and either printed directly on site or sent by email. 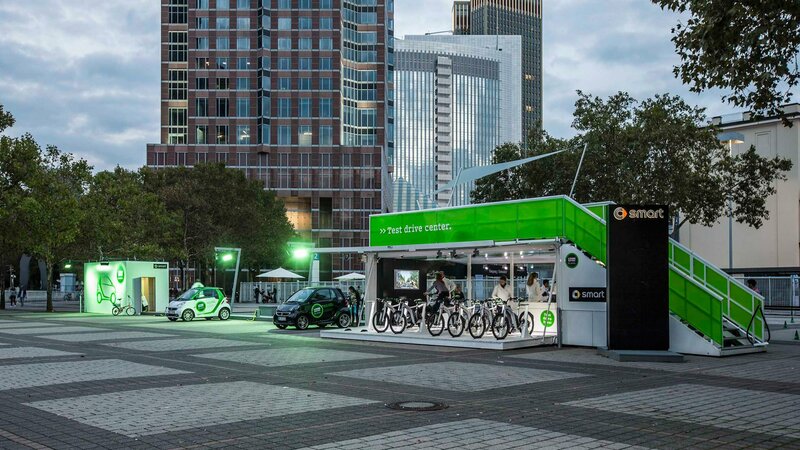 As a comprehensive ensemble, the two modules were a perfect stage for the world of MINI – the digital cube and pop-up café were extremely popular in every city they visited.